An in-depth and comprehensive synopsis of theory and research on development across the life course, with every chapter drawing together findings from cultures around the world. 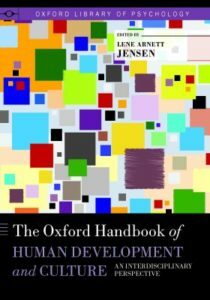 Chapters are written by an international group of experts who represent disciplines such as anthropology, education, human development, family studies, neuroscience, psychology, and sociology. The forty plus chapters are in step with the cultural and global realities of human development in the 21st century.